Remington cleaning supplies have been the industry standard for years. Remington's Fast Snap 2.0 cleaning kit has all of the supplies needed to field clean your shotgun. This Fast Snap cleaning kit is designed for cleaning shotguns of all bore sizes. This kit features Brite-Bore which is one of the best bore cleaning solvents available. The kit also includes a full line of bore cleaning accessories. Cleaning your gun regularly and keeping it lubricated will help maintain the value and workability of your gun for years. 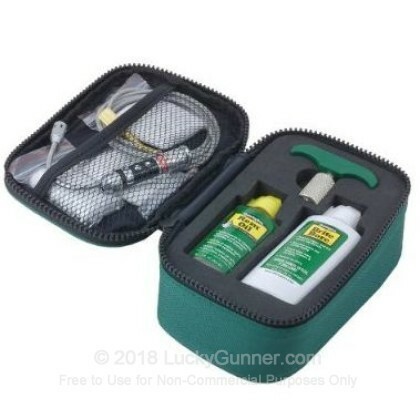 This Remington Fast Snap kit is a perfect compact cleaning kit to care for your shotgun at home or on the road.